Greetings from Siem Reap, Cambodia. Sous s’dey, everyone. I have just spent the past two weeks here in Siem Reap working with our partner organisation, PEPY Empowering Youth. As always it has been an incredibly uplifting and positive experience. I had the good fortune of working everyday with 32 scholarship students alongside their English teacher, Soury. I find it difficult to describe the PEPY students without going over the top, but their enthusiasm and commitment to hard work is exceptional. They arrive to class early and fully organised. They are attentive and participate fully in the lessons.  Homework is meticulously completed and at the end of the class students often complain that the class is over as they are so eager to learn more. It is such a pleasure and a privilege to teach them. This year’s group are particularly strong at communicating through English. Soury is a very talented teacher and not a word of Khmer is spoken during English Class. She has a gorgeous rapport with the students and they have lots of fun learning with her. The first week we principally worked on Drama. We worked on voice, gesture and facial expression and had lots of fun acting out the story of ‘Reaksa and the Beanstalk’! In the second week we worked on personality traits and expanding the students’ vocabulary. We worked on interview skills and we learnt all about Malala Yousafzai, whose inspirational story resonated with the students. They all have personal experiences to share about the challenges facing young Cambodians in accessing quality education. This is something we take so much for granted in a developed country like Ireland. 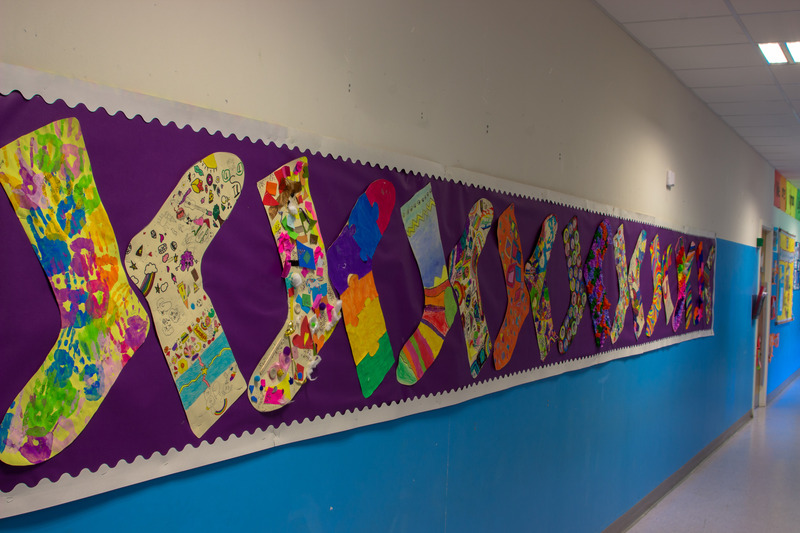 Malala’s quotation ‘One child, one teacher, one pen and one book can change the world’ is one we all agree with and is what this partnership is all about. All of you who contribute to the Scholarship Sponsorship Programme through monthly donations, or who support other Cambodia/Ireland fundraising events, are quite literally changing lives. Supporting a PEPY student is literally transforming their lives and supporting them to lift themselves and their families out of poverty. I return to Ireland more convinced than ever of the importance of Development Education and of our commitment to the Sustainable Development Goals. The standard of education in Cambodia is very poor. Class sizes are huge, there are often over 50 students in a class, many schools lack basic facilities such as electricity or running water, and teaching resources are scarce. The education system in Cambodia is still struggling to recover from the devastating effects of the Khmer Rouge regime. Many teachers are unqualified and are not sufficiently skilled to teach their students. This is why the work that the NGO SeeBeyondBorders does is so important. 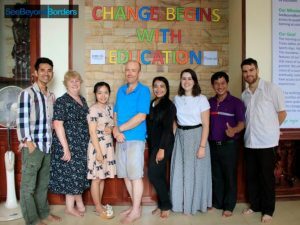 Colm Byrne (former teacher from DPETNS) is now working with SeeBeyondBorders. Colm is Director of Development with this organisation. 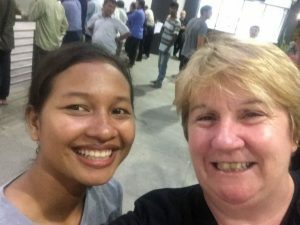 My daughter Dee is spending a year working and living in Siem Reap. She is working as a Communications Officer with SeeBeyondBorders – she is enjoying the work and especially enjoys working with her 4th class teacher, Colm! Phearith who visited us last April is also working with SeeBeyondBorders. 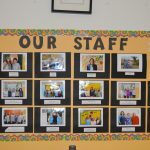 Their work is based around upskilling teachers through teacher workshops and training peer mentors to continuously support teachers as they apply what they have learned to their day-to-day teaching. Research is showing that this model is impacting extremely positively on the teachers’ skill levels and confidence, and furthermore, significantly impacts the children’s learning outcomes. Something that sets SeeBeyondBorders apart from many other NGOs is that they are striving to bring about systemic change by working in the public school system. They have a mountain to climb and we hope that our Cambodia/Ireland partnership can help them with this enormous but extremely worthwhile task. During our stay in Siem Reap I attended a couple of workshops with PEPY and SeeBeyondBorders, and taught some English classes with the staff there. My other half, Liam, kept himself busy by painting a few rooms for them and cleaning up the garden area. He reckons he lost a stone in weight as physical work in this climate is tough! I would like to take the opportunity to thank the INTO, our teacher union, for their generous and ongoing financial support for our partnership. Through their Solidarity Fund they have supported us for over four years now and we sincerely hope they will support us into the future. Each year the Cambodian visit to Ireland is fully funded by the INTO and this trip wouldn’t happen without this funding. This summer the teachers travelling in August each received 500 euro from the INTO to contribute to the cost of their trip. In addition to their financial support, we are very grateful to the INTO for always giving their time and for the personal support and interest they offer us. The INTO also contribute financial support for SeeBeyondBorders’ mentoring programme. SeeBeyondBorders and PEPY look forward to welcoming INTO Assistant General Secretary Deirdre O’Connor next week. Deirdre is the first representative employed by the union to visit both organisations and I am sure she will be impressed. Irish Aid are very aware of our partnership and have been very supportive of our work to date. They have given direct sponsorship to both PEPY Empowering Youth and to SeeBeyondBorders. This year they have given us a generous grant to complete a Development Education Project on the Sustainable Development Goals. This will be an interschool project culminating in an SDG Festival. We hope that our students in Ireland will benefit hugely from this project. Irish Aid are currently developing a new white paper on International Development which will form the basis of their work over the next number of years. We are preparing a submission for Irish Aid as they are currently seeking public consultation on their white paper .In their consultation document they pledge to leave no one behind. As Cambodia is currently trailing behind the other countries in South East Asia in terms of providing quality education we hope that Irish Aid will prioritise support for Cambodia into the future. New Leaf Eatery in Siem Reap is a social enterprise located in the heart of Siem Reap that donates 30% of its profits to two educational NGOs in Siem Reap. These two NGOs are PEPY and SeeBeyondBorders. We are delighted that they support these worthy NGOs and look forward to having our CambodiaIreland social evening there next week. 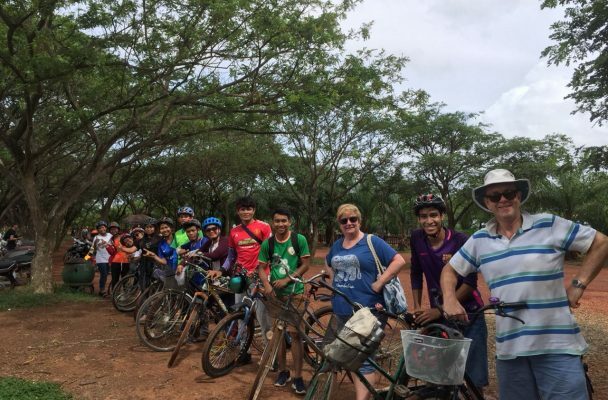 This weekend we look forward to welcoming six Irish teachers to Siem Reap. There is great excitement mounting in PEPY as staff and students look forward to their arrival. Four teachers from DPETNS (Meaghan, Patricia, Mary and Jenny), Una from Donabate Community College and Avril from Francis Street, will teach here for the next three weeks. They will divide their time between PEPY, SeeBeyondBorders and another NGO called Feeding Dreams. Everyone here is looking forward to their arrival. I know that in addition to working hard they will have a wonderful experience here and will return to Ireland as stronger and more committed teachers.